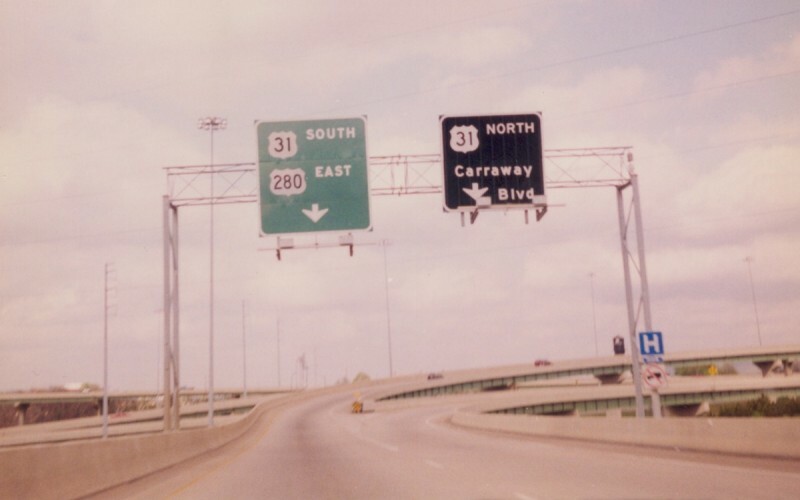 End sign for US 280 where the US 31/280 freeway (called the Elton Stephens Expressway or sometimes the Red Mountain Expressway) meets I-20/59. 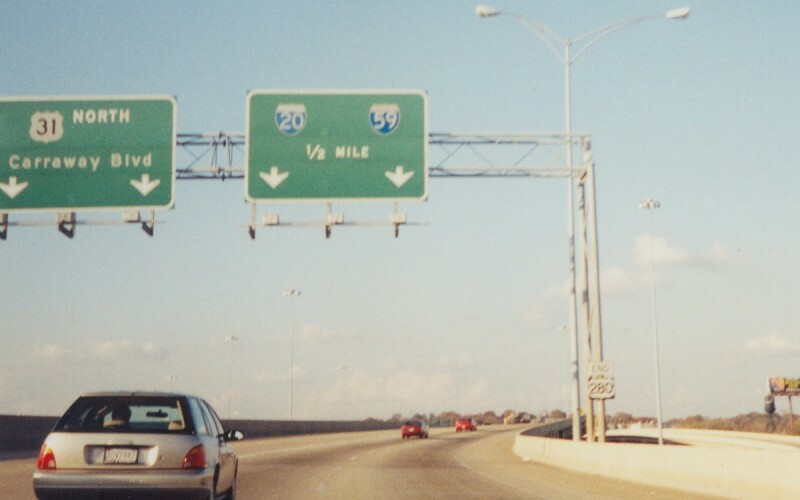 US 280 is duplexed with US 31 at its western terminus. Photo by Adam Froehlig. This is the ramp split on the ramp from eastbound I-20/59. Photo by Adam Froehlig.